A factor, i.e. a commercial bank or a specialized financial firm, can assist an exporter with financing through the purchase of invoices or accounts receivable. Export factoring is offered under an agreement between the factor and the exporter, in which the factor purchases the exporter’s short-term foreign accounts receivable for cash at a discount from the face value, normally without recourse, and assumes the risk on the ability of the foreign buyer to pay, and handles collections on the receivables. Thus, by virtually eliminating the risk of nonpayment by foreign buyers, factoring allows the exporter to offer open accounts, improves liquidity position, and boosts competitiveness in the global marketplace. Factoring foreign accounts receivables can be a viable alternative to export credit insurance, long-term bank financing, expensive short-term bridge loans or other types of borrowing that will create debt on the balance sheet. This method may be useful for more experienced exporters that are involved in multiple transactions and have a certain volume of yearly international sales. For more details on how factoring works and its pros and cons see Chapter 9 of the Trade Finance Guide. To find a factor, contact the Factors Chain International or the International Factoring Association. A forfaiter is a specialized finance firm or a department in banks offers non-recourse export financing through the purchase of medium-term trade receivables. Similar to factoring, forfaiting virtually eliminates the risk of nonpayment, once the goods have been delivered to the foreign buyer in accordance with the terms of sale. However, unlike factors, forfaiters typically work with the exporter who sells capital goods, commodities, or large projects and needs to offer periods of credit from 180 days to up to seven years. In forfaiting, receivables are normally guaranteed by the importer’s bank, allowing the exporter to take the transaction off the balance sheet to enhance its key financial ratios. Forfeiting typically requires a bank guarantee for the foreign buyer. It allows opening an account in markets with relatively high credit risk. It is can be more expensive than commercial bank financing. 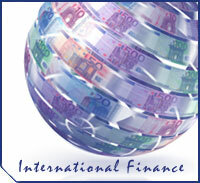 For more information on forfaiting see Chapter 10 the Trade Finance Guide. To find a forfaiter, you may contact the Association of Trade and Forfaiting in the Americas, Inc. or the International Forfaiting Association.